Two things have become popular at once, and it makes for an odd set of choices for those looking to update their kitchen: White shaker cabinets and subway tile kitchen backsplashes. Now, this may not seem like the end of western civilization, but many worry about how well white on white will age. Today, Transworld Tile is proud to present an alternative. While subway tile may seem like a pretty cut-and-dry concept, it can actually come in many more forms than you may initially guess. 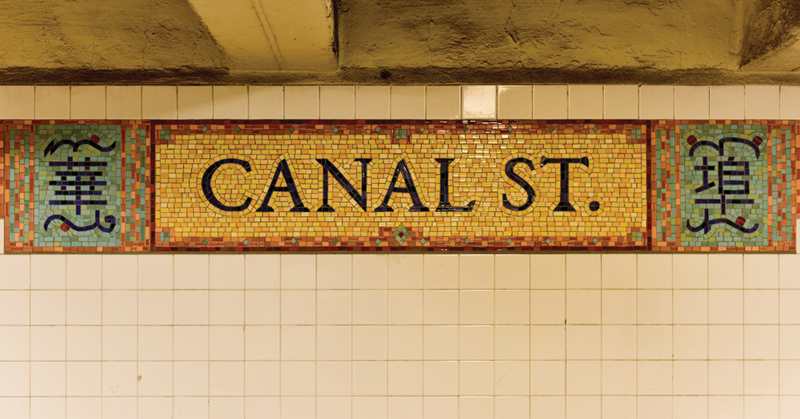 While it was once relegated to white ceramic rectangles, today’s subway tiles come in a number of shapes and sizes, or in this case, colors and materials. Subway tile, at its heart, is really just a rectangular tile that is laid in a symmetrical pattern, often using white, grey, or black grout. For the most part, we hold true to this list. By beginning with a flooring you love, you’re likely able to begin picking out multiple rooms at once. For instance, if your kitchen’s flooring is shared by your dining room and living room, then you don’t want to back yourself into a corner with style choices for those rooms by picking a cabinetry color and composition first, which would then influence which flooring options would work. By sticking to this general order, you are able to use your countertops to tie your flooring to your cabinetry, and then use your backsplash to amplify the visual effects created by all three. From there, choosing a paint color is a breeze – and can be easily changed until perfect. To go with the white craze that everyone has been on about, we advise a few colors of glass subway tile very often. The ones we love depend mostly on what else you are doing, but we’ll try to explain that as we go! This classic look takes semi-transparent glass and gives it a blue-green hue. Some aqua glass looks like the semi-translucent glass we’re used to seeing in bathrooms or on decorative wall pieces, while others lean much more into the blue or green spectrum – these are the ones we love now. If your countertop has any yellow or gold accents in it (look closely, it’s more common than you think), then either a more seafoam or true aqua tile will work wonders. Grey tile is a dangerous line to walk – too much grey and white and you come out with a drab, unflattering kitchen; but done correctly, you end up with a relatively muted backsplash that lets the tiny details of a kitchen design stand firm. If you’re pairing white, white, and grey, make sure that you’re comfortable with bold decorations, preferably something like seasonal flowers and other countertop accessories. Transversely, your countertops and hardware can also be the star here, but just make sure that you have a vision for how to add some color and life to the design. Cool, dark colors are the perfect complement to many white cabinets. For these, don’t take it on faith that your cabinets are a warm or cool form of white (yes, whites do vary), because you’ll want to absolutely hold the tile up to a cabinetry sample color. These cool, dark colors can be anything in the grey, green, and blue family, from something like a navy blue to a deep, dark grey. These colors mellow out the kitchen but can really have some fun when a white grout is added. Above all, your tile backsplash should matter to your design, not just be picked based upon your fleeting interest. If you feel like a white subway tile isn’t right for the longevity of your design, your inner designer is probably just asking for some color to add depth to the end result. If you aren’t 100% satisfied with your kitchen backsplash tile choices, then come into Transworld Tile, where you’ll find a well-stocked showroom backed by a friendly and knowledgeable staff. Together, we can make sure that your tile brings together your kitchen design in a beautiful way. Contact us today to schedule a visit in our showroom!